Congratulations to Blake on his new job with MVC Vehicle Components. And congrats to Seth on his teaching position in Shanghai! We are happy for both of them, but they will be greatly missed! We’re now looking for an experienced Apple computer technician, and an experienced on-site technician with a wide range of troubleshooting and repair experience, both with excellent customer service skills. All you have to do is go like our Facebook page and you’ll be entered into our giveaway. Help us reach our goal of 1000 likes on our Facebook page. Once we reach it, we’ll randomly choose a winner who will get $50 cash! Congrats to Jenny H. who won our previous giveaway. It’s a free upgrade for Windows 7 and 8 users if you upgrade before July 29 of 2016. Also, it is getting much better reviews than Windows 8. Check out our post for more info. If you have any questions, let us know. Plus, we can help with the upgrade or any issues that may arise. We have a fancy new water damage cleaning machine & process that successfully repairs water damaged electronics in most cases. Plus, we offer a 6 month warranty on the repair. We also sell new computer parts & accessories. Remember Computers Plus Repair for any laptop, Apple, or data recovery problems. We offer free estimates and diagnostics! 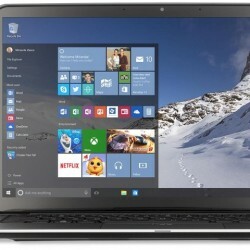 Should You Upgrade to Windows 10? Beware of Ransomware!